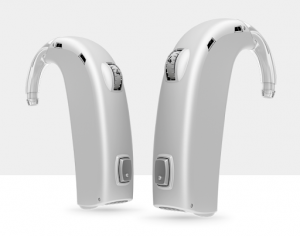 Oticon is a top hearing aid manufacturer with a long history of excellence. Founded over a century ago, Oticon is a Danish hearing aid innovator that is constantly working to bring better hearing and greater sophistication to their hearing aids. Here at Hearing Associates of Las Vegas, we offer all major hearing aid brands including Oticon, so you can have the best selection possible. To help you determine which Oticon hearing aids may suit your hearing needs, below are the current hearing aids which make up Oticon’s product line. Opn hearing aids are the premier hearing aids that Oticon is currently offering. There are three hearing aid styles that Opn comes in: BTE, RIC, and mini RITE. 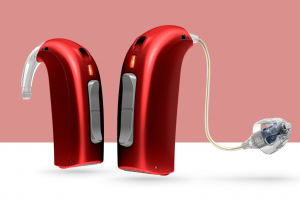 These hearing aids help those who have mild-to-profound hearing loss. 360-degree sound radius, with OpenSound Navigator and Spatial Sound LX incorporated to help control the sound experience when in various types of spaces. BrainHearing Oticon tech which helps Opn communicate with each other to deliver understandable sound transmissions. TwinLink tech provides superior listening performance with low power usage. Can come with Tinnitus SoundSupport to alleviate stressful tinnitus symptoms. Control Opn hearing aids from the Opn On app, available on both iOs and Android. 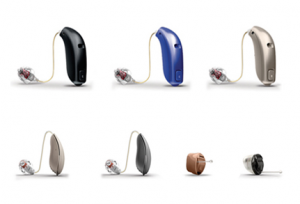 There are three different levels of Opn hearing aids, and they come with different options. Our hearing instrument specialist can help you determine which level of Opn is right for you. 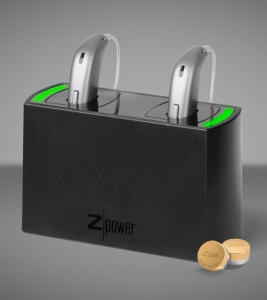 Uses 2.4 GHz Bluetooth low power usage, allowing you to stream media to hearing aids and use less power. 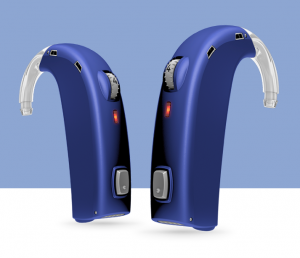 Can sync with Oticon ON app to have greater control over the Siya hearing aids. BrainHearing Oticon tech which helps Siya communicate with each other to deliver understandable sound transmissions. Soft Speech Booster tech increases speech sounds for better conversational clarity. Speech Guard is built-in to preserve the dynamics of speech and the correct audio pattern. YouMatic Premium is a program our instrument specialist tailors to your hearing needs, allowing better hearing in various listening environments. 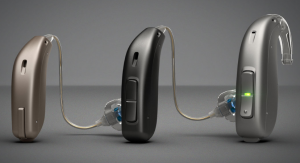 Spatial Sound Advanced allows Nera2 hearing aids to perform binaural processing, allowing for greater sound clarity. YouMatic Advanced is a program our instrument specialist tailors to your hearing needs, controlling the sound processing in your hearing aids. Free Focus Essential tech allows you to switch between what kind of hearing directionality you are using, allowing you to capture sound in different environments. YouMatic Essential is a program our instrument specialist tailors to your hearing needs, controlling sound to provide you with greater comfort, clarity, and sound support. Speech Guard E is an amplitude compression system that helps preserve the clarity of the sounds you hear. Speech Rescue tech helps you capture the higher frequency sounds that you may be missing and provide you with the full bandwidth of amplification. For children age 3 and under, Sensei SP comes with tamper-resistant battery doors. That way, no accidents with the batteries can occur. SmartFit Trainer helps children and parents to insert the earmolds correctly into the ear to ensure the Sensei hearing aid is properly seated in the ear. VoicePriority i is adaptive FM technology, allowing school-aged children to have FM gains to balance out noisy classrooms. EasyRECD helps the Sensei hearing aids to be easily personalized for the child’s listening needs. There is far more to know about Oticon’s various hearing aid offerings, and our hearing instrument specialists at Hearing Associates of Las Vegas will be happy to tell you all about these amazing hearing aids. If you would like to learn more and have a demonstration of Oticon hearing aids, contact us for an appointment with one of our hearing instrument specialist.